In the wake of real-life events, it's almost impossible to avoid anxiety and the temptation has never been greater to let one's self go. But at least one company is looking to help up the average person's quality of life via gaming. 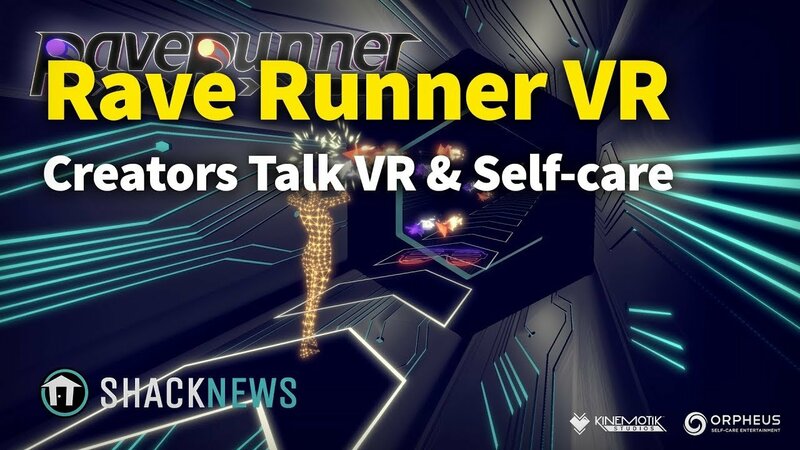 The folks at Orpheus Self-Care Entertainment are looking to push forward the idea of games as self-help tools and one of their biggest offerings is Rave Runner VR, a virtual reality dance fitness game from Kinemotik Studios. Shacknews has been eager to learn more about this VR dance title, so we spoke to Kinemotik founders Brady Wright and Ashley Cooper to learn more about it. "We actually didn't set out to make people eat their vegetables," Wright told Shacknews. "It was actually just to make you feel good and make you really dig down and enjoy the experience, but it turned out that it's a very physical experience and it turns out that our publisher has actually been doing this. He's actually lost 80 pounds so far, playing the VR games and he's been playing this one in particular an hour each day and his Fitbit says he's been burning 1,000-1,200 calories per hour." Rave Runner VR is coming soon to all VR platforms, including Oculus Quest, Oculus Rift, HTC Vive, PlayStation VR, and more. For more interviews like this, be sure to subscribe to Shacknews and GamerHub.TV on YouTube. So Beat Saber minus the sabers?